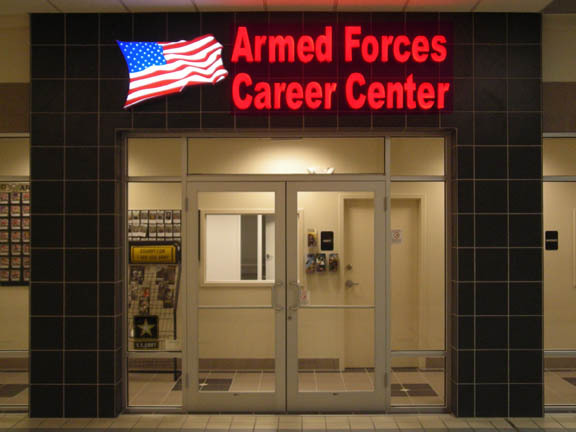 P&D furnished and installed this set of channel letters for the U.S. Armed Forces. This set of letters was mounted to decorative tile using diamond head drill bits to penetrate the extremely dense material. We used LEDs for the illumination source saving about 80% to 90% in electrical costs over traditional neon illumination.